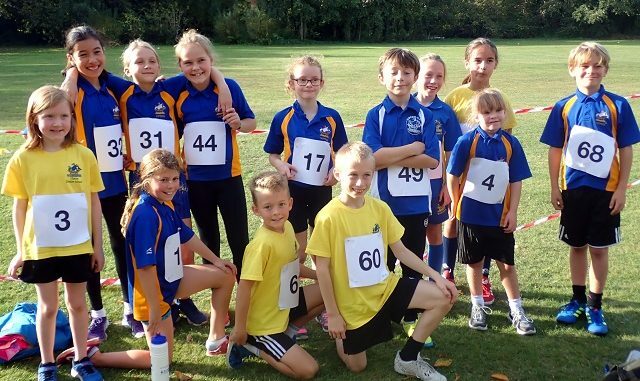 Young athletes from Upton Junior School in Broadstairs are aiming to reach national biathlon finals after a strong set of performances. With no formal South East biathlon qualifier this year, the team were fortunate to receive an invite to Ashford School that was running its own time trials in the 800m run and 50m swim. Team spirit in the Upton side, that featured biathlon regulars and some who had never competed before in the category, was exceptional as they raced against the clock where times equate to points. Deputy Head of School Dave Walker is full of praise for the commitment and enthusiasm shown by Team Upton. He said: “This was a national qualifier and all our athletes did exceptionally well. Leotie Gabriel (Year 6), won the Under 12 girls’ category, Thomas Gamble was first in the Under 9 boys’ section, and Maddy Morgan was third in the Under 10 girls’ competition. Rosie Pope, Phoebe Wells and Sadie Barratt took the Under 10 team bronze. Mr Walker was delighted with the enthusiastic response from the pupils and the results. He added: “This event just popped up a week ago and yet we had 17 Upton athletes ready and raring to travel to Ashford and take part.